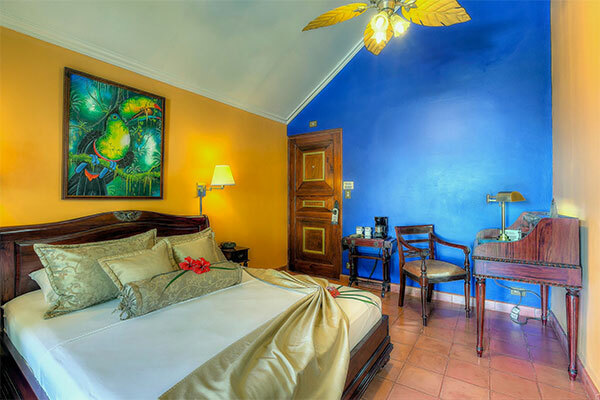 The 16 Angel Deluxe Rooms are richly decorated with Colonial and Asian details, all with ocean and jungle view from their terraces or balconies with modern commodities: A/C and two ceiling fans, Cable TV, WiFi access, Mini bar, safe, Coffee Maker, Private Bathroom with bathtub/shower and hairdryer, alarm clock, telephone. 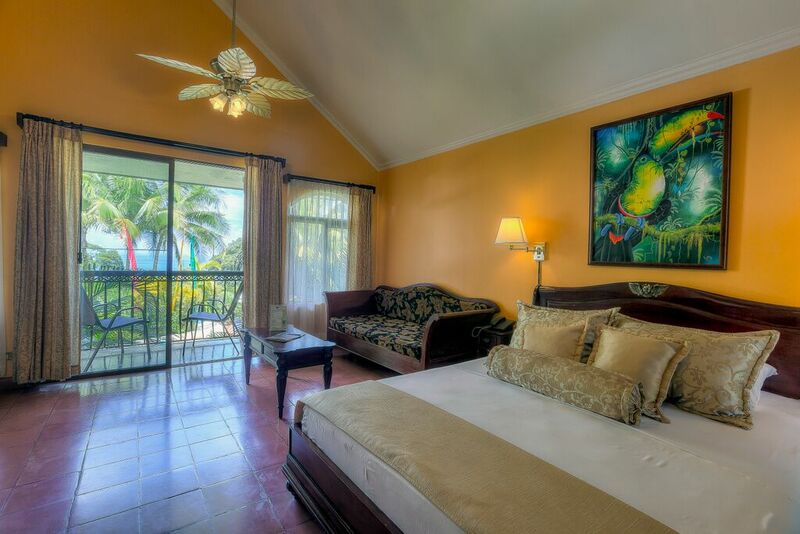 Deluxe Rooms have one queen size bed or two beds (queen + full size). 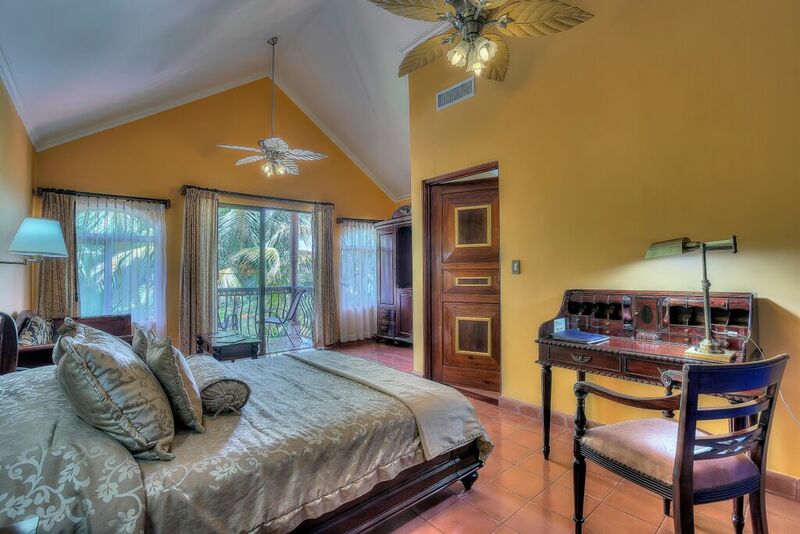 These rooms are located in front of the infinity edge swimming pool. 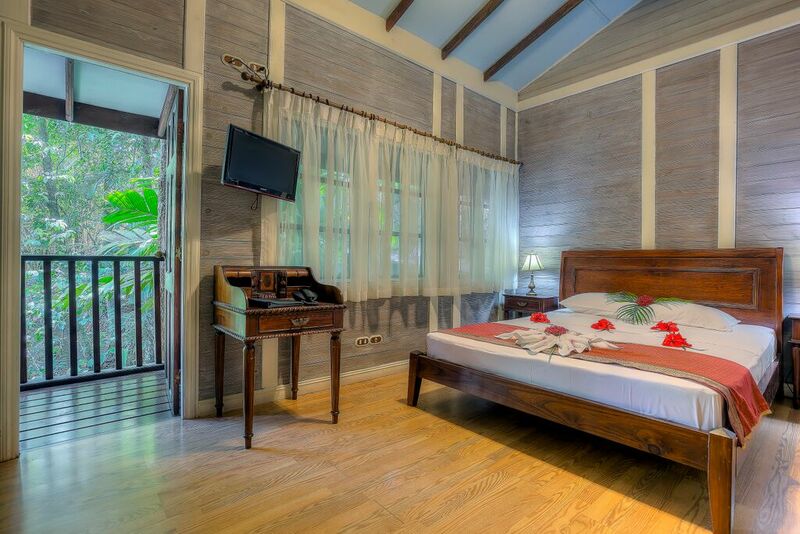 Our 7 Jungle rooms are made of wood decorated in Caribbean rustic style with private balconies looking at the tropical forest, an ideal spot for birds and wildlife watching. 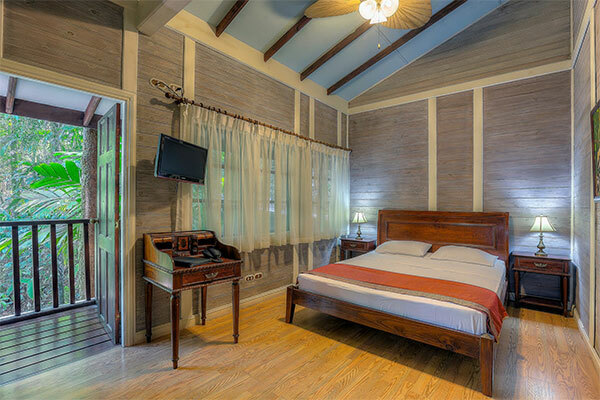 These rooms are equipped with A/C and ceiling fan, mini bar, safety box, cable Tv, private bathroom with shower and telephone, have one full size bed or two twin beds. This complex is away from all public areas, for this reason jungle rooms are recommended for adventurous young people and all those you are looking for affordable options. The access is by stairs (about 40 steps) and there is also a ramp, this rooms are directly located in the middle of the Rain Forest, away from the main building, giving them a sense of extreme privacy. However all guest are welcome to use all the hotel´s facilities. They have no ocean view.